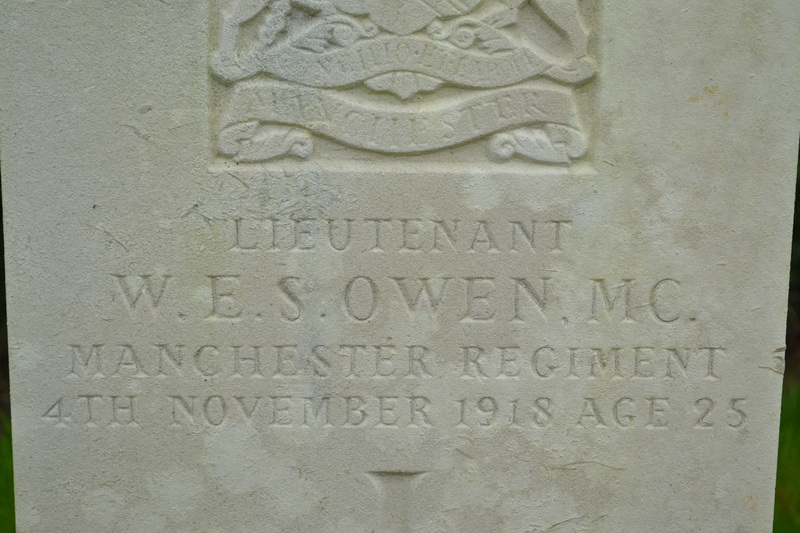 Today I carried out the last duty I’d set myself as an English teacher (ret’d) when I finally visited Owen’s grave. It’s in a godforsaken village in northeastern France – Ors, on the Sambre Canal, where he was killed a week before the end of the First World War as he and his men attempted to build a bridge across the canal. He is buried in a military annexe in the local communal cemetery; all bar one of the men buried there were killed on the same day; there are two VCs among them. It’s all very ordinary, just like the dozens of other war cemeteries in this part of France. I looked at the canal: how you’d build a bridge across it under gunfire beats me. Pat Barker imagines it graphically in the final volume of her trilogy, The Ghost Road. A couple of miles away is the Maison Forestiere, which is the house from the cellar of which Owen wrote his last letter to his mother. It’s been turned into what I can best call a poetry installation: painted white, inside in darkness Owen’s poems are projected onto glass panels and read aloud (some of them) by Kenneth Branagh. Some have been translated into French and read aloud, too: finally French readers are meeting Owen’s poems and France realises that she has one of England’s greatest twentieth-century poets buried here. Listening to the poems was moving; there were the usual well-known ones, some early fragments and some I hadn’t met before. The translations into French were interesting: sometimes the translator had succeeded in capturing some of the alliteration, assonance and especially half-rhyme that characterise Owen’s greatest work (Exposure, Strange Meeting) but very often s/he hadn’t, for it was impossible, and somehow this underlined for me just how good his poetry is. 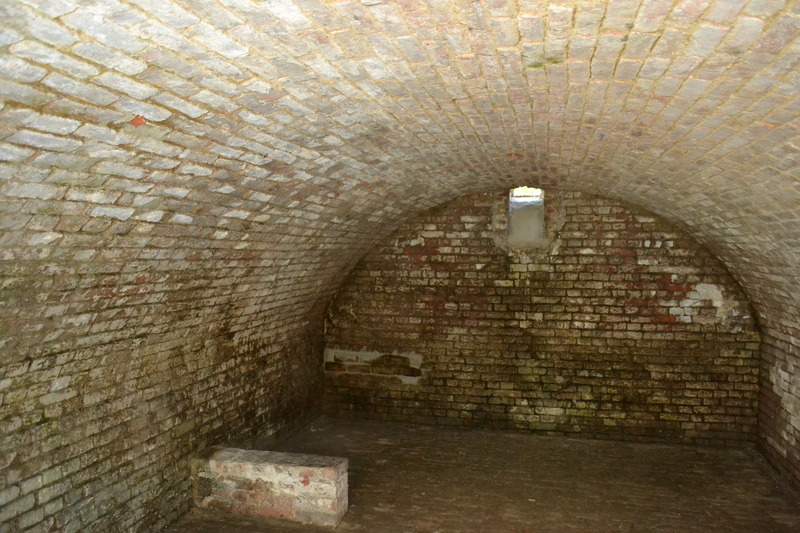 The cellar is empty, cleaned out and is the same space where Owen wrote his last letter: you can sit there and hear it, in English and French, and be still with your thoughts. It’s a fitting memorial, I felt, and worth a detour, as Michelin puts it. There are details on the tourism website of Le Cateau Cambresis, the nearest large town.